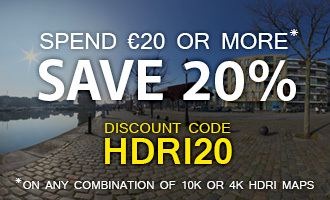 In the discount field at the bottom of your shopping cart, use the code HDRI20. 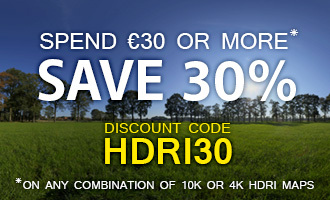 In the discount field at the bottom of your shopping cart, use the code HDRI30. 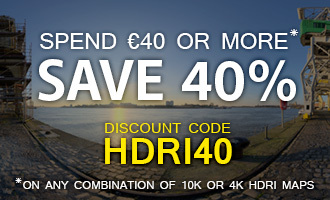 In the discount field at the bottom of your shopping cart, use the code HDRI40.